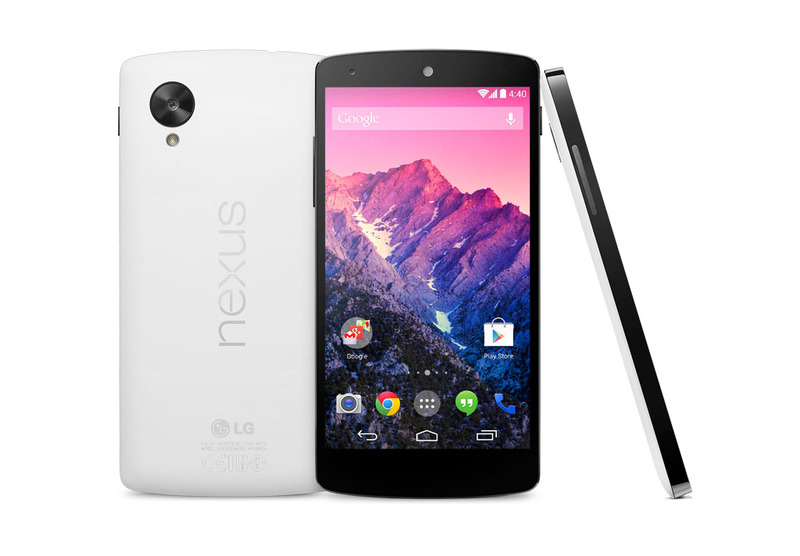 news Korean electronics manufacturer LG and local telco Telstra have announced they will mark up Google’s Nexus 5 smartphone by $300 when customers buying the flagship model pay for it outright, in a move which will see the unit’s overall price increase by around 75 percent compared with its existing price through Google’s Play Store. The device will be the first to run the latest version of Google’s Android operating system, Android 4.4 (KitKat), and in Google’s Nexus tradition will run a stock version of Android unencumbered by the software add-ons so loved by manufacturers such as Samsung and HTC. The smartphone will feature a “stunning 5 inch full HD IPS display” at 1920 by 1080 pixels, LG and Google said in a statement this morning. It will run on a 2.26GHz quad-core Qualcomm Snapdragon 800 Krait processor, come with 2GB of RAM, an eight megapixel rear camera with LG’s optical image stabiliiser technology, and with either 16GB or 32 of on-board storage. It will weigh 130g, come in black or white and support the 4G mobile broadband speeds available in Australia via the 1800Mhz networks of Telstra, Optus and Vodafone. The previous Nexus 4 unit was a very popular model in Australia and represented the first ‘Nexus’ collaboration between LG and Google. Its largest fault for the Australian audience is that it did not support 4G speeds locally. Google is already selling the Nexus 5 through its online Play store. Australians can buy the 16GB version of the unit for AU$399, or the 32GB version for AU$449. A small amount of extra delivery charge also applies. However, both Telstra and LG today announced that when customers buy the Nexus 5 through retail stores or from Telstra directly, they will be charged substantially more. Telstra, which appears to have Australian carrier exclusivity on the Nexus 5, will sell the unit on its $60 Every Day Connect plan (or the equivalent business plan) with a $9 handset repayment per month over 24 months. 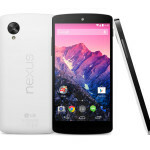 However, it’s when customers buy the Nexus 5 outright that they will be slugged with a huge price increase. “Nexus 5 will also be available to be purchased outright in Telstra stores for $696 recommended retail price,” LG said in a statement today. That same statement added that the handset would be available through other retailers such as Harvey Norman from late November as well for $699. 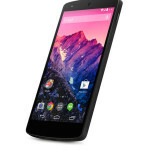 Telstra’s website confirms this is the same 16GB Nexus 5 model which sells through Google Play for $399. The 75 percent mark-up on the Nexus 5 represents one of the largest percentage technology mark-ups on a technology gadget sold in Australia over the past several years, with most local technology suppliers preferring to mark up products sold locally by less than 20 percent. It also ensures that the Nexus 5 sold through Telstra or retail outlets will not be competitive price-wise with the prices available through Google’s Play store. Other retailers have also substantially marked up the Nexus 5. Australian online retailer Kogan sells the 16GB model for $579 — or about $179 more than Google — for exactly the same hardware. The Nexus 5 will be available in Telstra stores from Tuesday 26th of November and can be pre-ordered online from today. As an initial offer and for a limited time customers that pre-order online from Telstra before 26th of November will receive a $100 Google Play voucher with their handset compliments of LG and Telstra. Spokespeople from Telstra and LG have been invited to comment on the Nexus 5 price hike. “Nexus 5 handsets sold through the Play Store are done so by Google and are subject to pricing decisions made by Google. Offline and retail sales through local Australian retail outlets and sales channels are the subject of a completely separate pricing structure that provides for a different support and service model for consumers. I think what we’re seeing here is the fact that Google is very heavily subsidising sales of the Nexus 5 through its website, and that the prices being charged by retailers and Telstra are more reflective of the actual cost of manufacturing the Nexus 5. However, that still doesn’t make this OK. You simply cannot expect to get away with marking up a $400 phone by an extra $300. That’s nothing short of a joke, and customers should vote with their feet and ignore this blatant price gouging by LG and Telstra. 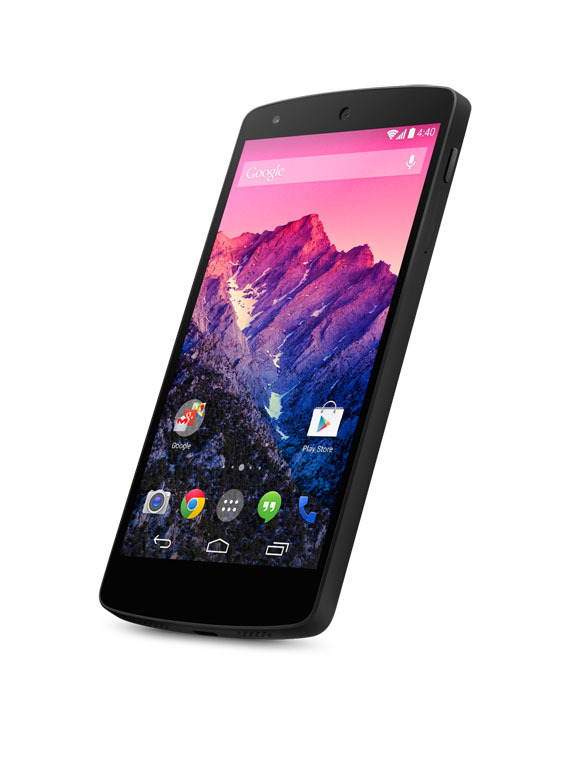 Let’s call this what it is: $300 extra for a Nexus 5 that costs $400 online is a dog of a deal. Avoid it like the plague. Google aren’t subsidising the price, just look at what you can get from Chinese manufacturers. What we are seeing here is pure greed from Telstra (and maybe LG), plain and simple, 2 middlemen don’t add up to a 100% markup, unless at least one of them is ripping off the customer. Telstra are in the business of getting people to sign contracts on the basis they don’t want to pay anything upfront . I think this may be a reason for the price. Because everyone wants toe “Telstra” splash logo when their phone starts up and shuts down, and some “Telstra crapware” installed onto the images. In fairness to Telstra it must cost them a bit to have the Telstra logo and the NextG brand stamped on the backs of their customers phones too. So, pay more, wait longer, and get “free” telstra advertising all over your phone. Yep, I can see why people would prefer the Telstra alternative. I bought a 32GB Nexus 5 through Play the day it came out and got it about 2 weeks later. Now enjoying Vodafone’s 4G speeds on a $35 month-to-month post-paid with 1 GB/month data. I can’t imagine what would possess anyone to pay $69/month for 24 months, let alone $696 RRP! Absolutely outrageous. And Gerry Harvey wonders why his business is doing so poorly. The worst thing about all this is that there will be “mom and pop”consumers that will still walk in to Telstra or Harvey Norman and pay that price for the phone. Unlikely, although there may be some mums and dads. So, what’s to stop people ignoring Telstra and just buying it through Google as they seem to be able to do right now? Am I misisng something here? Are you paying $300 just for the convenience of being able to walk into a Telstra shop? Is that it?? I prioritize Nexus updates, as i prefer the balance of up-to-date Android OS features and tuned hardware for the OS as in the Nexus devices. I got burned by telstra when i got the Galaxy nexus from them 2 years ago, as Telstra did the updates and the experience was like the Verizon fiasco in the US. I flashed my Telstra Galaxy Nexus with the Google Android image after just 2 months of crappy Telstra non-updates. Since that moment with Android 4.0, I received Google updates promptly and all the way to Android 4.3. No way i’d be paying these extortionate prices and also risking NOT having Nexus updates from Google. i want my hardware and software looked after by Google, and only want connection service from Telstra. Telstra can keep their filthy hands off my device. So they’ve priced this to be a failure. I wonder what particular confluence of corporate politics and circumstance requires this outcome? The real cost of the phone is actually close to what Google is selling it for. The cost of manufacturing these phones is low when you outsource most of your labour and manufacture to China or Vietnam. As another example, even the Iphones have a margin of 50% when you factor the actual cost of manufacturing the handset. Well, the marketing team in Telstra is either stupid or incredibly dumb to market a phone at this price. They won’t be getting any customers – well at least those who are smart enough to browse the web and compare prices. Only fools rush in to buy such a ridiculous telstra price !! !